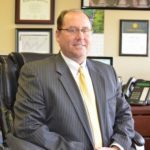 Todd Smith MBA, CIMA of Accountants and Advisors, LLC is an accountant with a demonstrated history of working in the financial services industry and in nonprofit organizations, retirement planning, high net worth, investment advisory, estate planning, and Series 24. Work For Accountants and Advisors, LLC? Claim This Page.